Tours must be scheduled and attended prior to submission of Pre-K applications. Entrance under blue awning on 16th street. 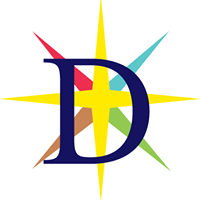 Daystar School offers free parking to our guests in our lot, accessed at 16th & Dearborn. All visitors should park in spots 1 - 10 (front left of lot). No. Tickets are not required. Your online registration is sufficient. I want to bring a friend. Is that okay? Yes. However, if you are attending with a friend, please have each family register separately. As part of our application process, families are required to attend our Discover Daystar Tours. By registering as a family, this will help us to note that both of your tour requirements were fulfilled. I want to bring my child to see if he/she likes the school. Is that okay? Prior to acceptance, all potential Daystar students are required to attend a student visit which will be scheduled independently. Students currently in grades 4-7 are encouraged to attend the Discover Daystar Tour AND are required to attend the student visit. Younger children may not find the tour engaging so we ask that parents make alternate childcare arrangements whenever possible. Children are of course welcome but parents are asked to be attentive to their behavior (first impressions make a difference! ).